In any industry you can generally see what title or franchise managed to launch a creator into the limelight and this is the same in the game industry. While they were known for years for their Sam & Max adventure games it was only until Telltale Games launched the first season of The Walking Dead that they really came into the spotlight. Six years have passed and the company has released numerous titles and worked with many gigantic licenses in that time but now it is time for the journey of Clementine to come to a finale in the form of The Walking Dead: The Final Season. With the first episode, Done Running, now released does this conclusion start out with a bang or a whimper? 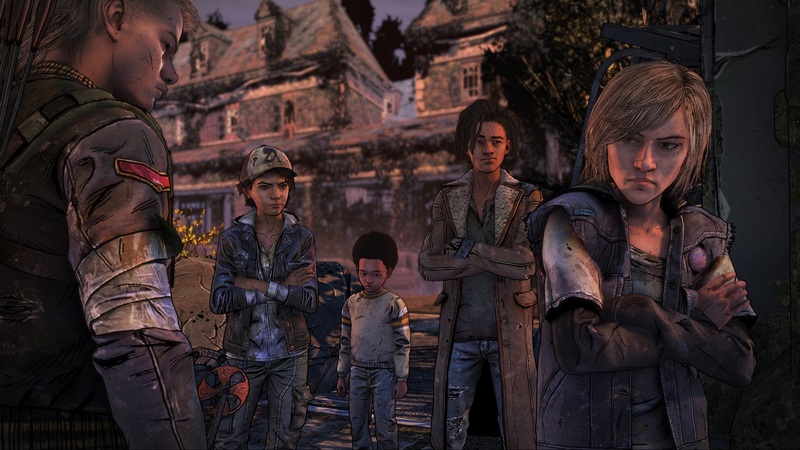 It is worth noting that since this is the fourth direct season following the journey of Clementine that there may be spoilers discussing events that have happened in the previous three seasons, even if the events of the third season have so far turned out to be entirely inconsequential. An indeterminate amount of time has passed since the end of the third season and we join Clementine and AJ who appear to have been on the road for quite some time. Forgotten were the characters and choices of the third season as this pair have formed a tight trust with one another to the point that AJ listens and learns from Clementine’s actions as she tries to help him survive in a world that has been apocalyptic since before he was born. 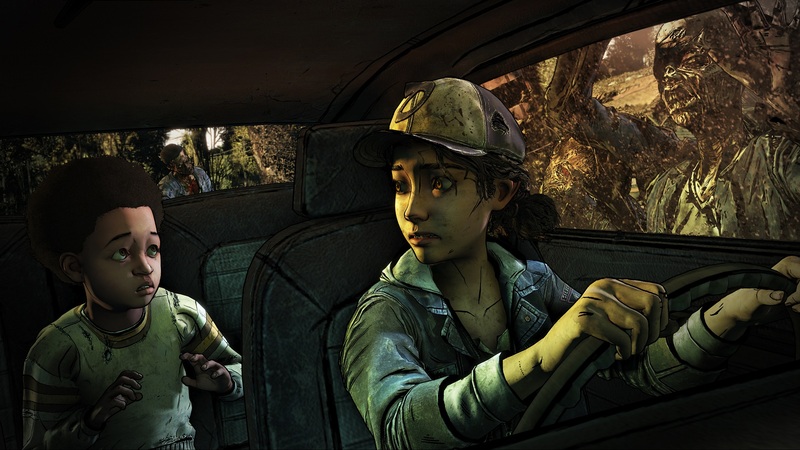 This creates an interesting dynamic between our two main characters as fans have grown highly attached to Clementine over the course of the years and want to see her survive no matter the cost but now we also have the young AJ who seems far more capable than one would expect from a child, weighing on our minds as we navigate the world and make various decisions that are being said to form how AJ will act. This leads to some extra weight being added to decisions but also some troublesome moments of dealing with a child who has never known a normal life and interacting with others. That being said, so far very little of what players actually do seems to really affect AJ’s personality so it will be interesting to see where it goes from here. Outside of the main character drama the majority of Done Running is used to set up the new environment and group of characters that we will be dealing with for the rest of this season and ends up suffering from a slow, generally uninteresting, burn outside of a climactic finale. Clem and AJ end up joining a group of other teens and younger children who have been surviving at a home for “wayward youth” where they were staying since the zombie outbreak occurred. Left behind by the adults, they have been managing well enough by hunting, fishing, and scavenging outside of some losses here and there. The group of characters that we see taking the lead here are your standard generic seeming cast though it does appear that, thanks to the game taking the “relationships” system from the Batman series that we will be able to develop and learn more about these characters throughout the series. 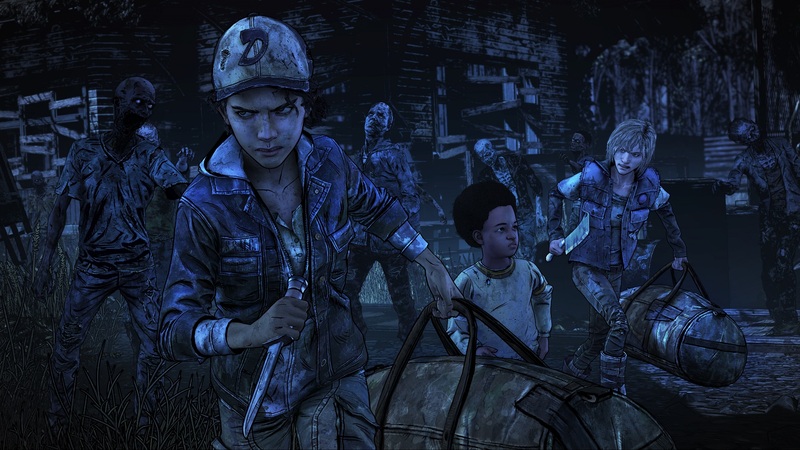 It is also interesting to note that while the story remains almost entirely the same for the most part, there is a branching choice to make this episode that will see players interacting with one group of characters or another group depending on who they choose to assist, giving players an option to diversify their journey a bit more and encourage a potential replay. One of the bigger features in The Walking Dead: The Final Season is the fact that the game now is running on a different engine than what fans were used to. For the most part this doesn’t change the gameplay up too much outside of exploration and combat. While exploring the camera now takes an over the shoulder angle as players walk around an environment and examine/pick up items and as for fighting Walkers the game still takes a quick time event approach but with some more flexibility. Players can approach Walkers and either stun them by kicking out their leg or directly stabbing them. If you happen to get grouped up on or approached from behind Clementine will instantly be killed, making a fight a bit more challenging than simply mashing QTEs though you should also be prepared for more than a few glitches here as the game does not like to take the actual distance of Walkers into account when fighting them, leading to more than a few cheap deaths. Dialogue decisions remain the same though as mentioned before there is now a relationship system that will be displayed for each character at the end of the episode similar to what was found in the Batman series. Another interesting aspect of this series is the fact that the game does feature a handful of collectibles that can be missed depending on how you play through the game and if you explore enough. Of course these collectibles don’t really offer much outside of Achievements and decorating a room but it is a nice little touch. While the gameplay has been modified a bit, the biggest advantage of this new engine is making sure that The Walking Dead: The Final Season looks as great as it possibly can. Character models now have little features that move in the wind and other fine touches that were impossible or completely stiff in previous entries while the graphics themselves have seen an overall boost in quality with a significant drop in visual bugs. 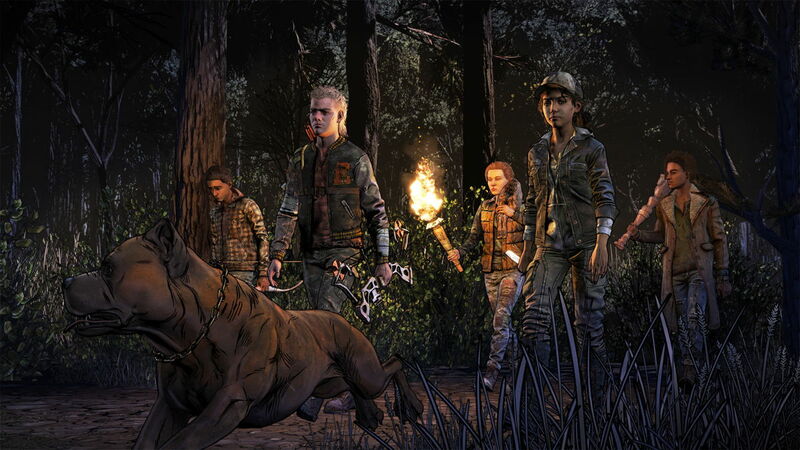 The soundtrack for the series is fitting for the genre while the voice acting continues to impress as the voice actress for Clementine once again returns to reprise her role while the new characters introduced fit their roles perfectly given the situation these children find themselves in, especially in the finale of Done Running. 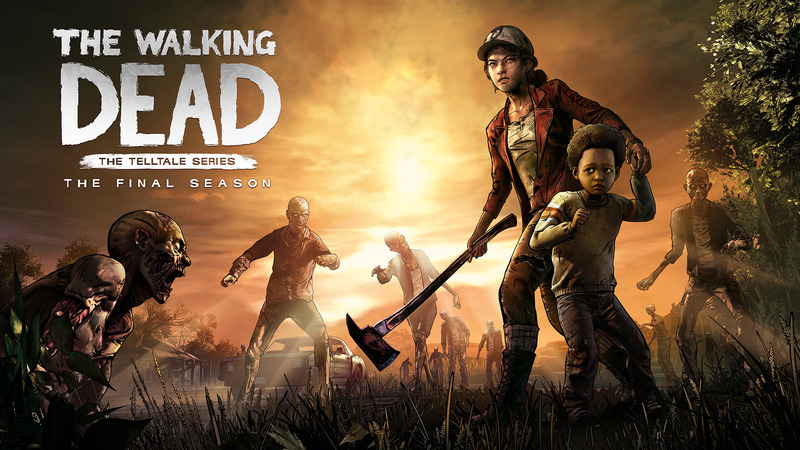 The Walking Dead: The Final Season – Done Running may have had a slower start than usual here by trying to find new footing with a brand new cast of characters in a different setting but the drama that unfolds in the last section of the episode and the various interactions throughout with the new cast of characters show that Telltale Games has more up their sleeves for this season than simply a fancy new engine to show off. Done Running takes some extra time to get itself settled in for the main plot, leading to a slower start than what fans may be used to but does a great job once it gets going.